These B125 Medium Duty Access Covers are high quality and strong. These manhole covers are ideal for parking lots and pedestrian areas inaccessible to heavy trucks. These access covers are black bitumen coated and made with ductile iron. 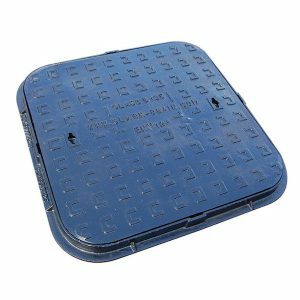 These covers are made by industry-leading manhole cover manufacturers. Are you looking for the perfect manhole covers for parking lots, pedestrian areas and other areas that are inaccessible to heavy trucks? If so, then these B125 Medium Duty Access Covers might be the perfect option for your needs. These high-quality manhole covers made made with ductile iron and are coated with black bitumen. These single seal access covers are designed to provide an airtight seal when they are packed with grease.